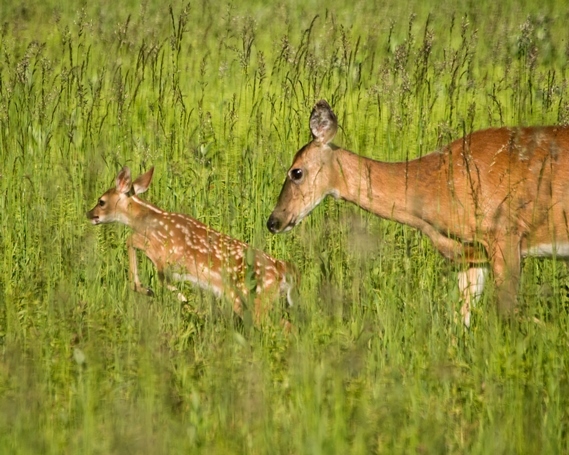 One of the reasons we took an overnight trip to Shenandoah National Park in the first part of June was to see and photograph the newly born fawns at the Big Meadows of the Park. Lucky for us the deer are acclimated to the presentence of people so we can get close enough to get some nice shots without the heavy long zoom lens. The best time to find and photograph them is early morning when the light conditions are best and before they disappear into the woods when temperature starts getting warm.